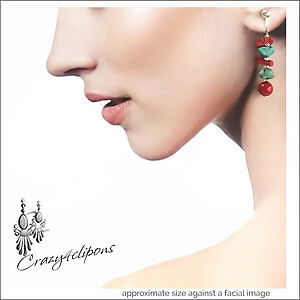 Features: These earrings are so much fun! They look outstanding with casual-wear and during summer. 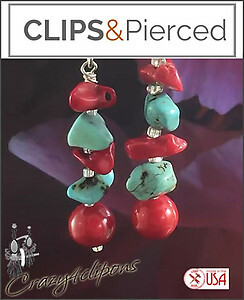 Turquoise nuggets are paired with coral chips (dyed) and a deep red shell round bead. They have a lovely organic look!